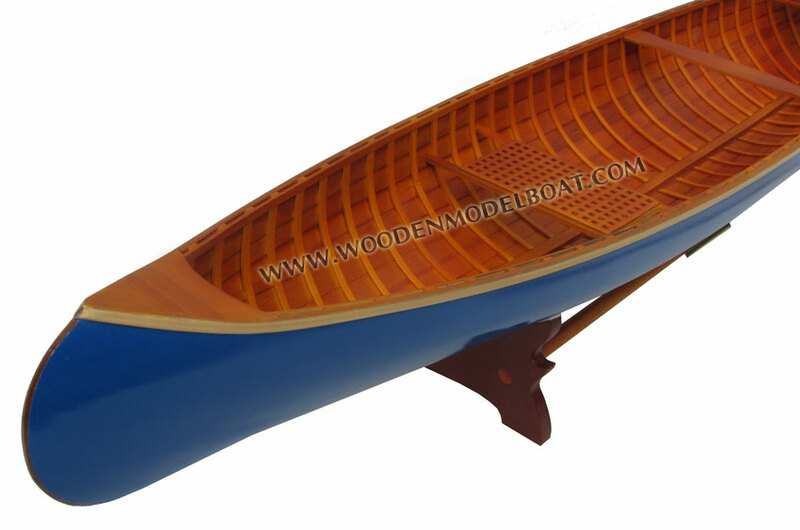 Model is handcrafted from wood with planks construction, the hull is constructed with ribs as the original boat. The exterior is painted with different colors. 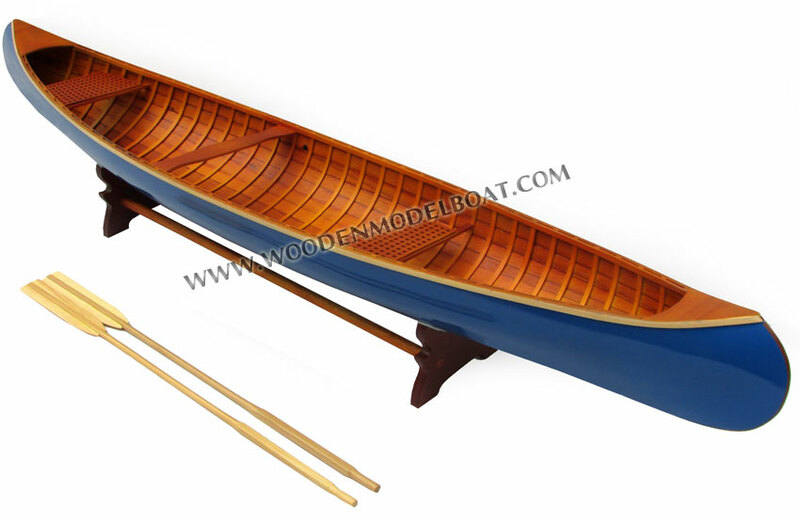 Model comes with a pair of oars and a brass name plate on base like shown photos. Scroll down to see incredible colors on hull. If you do not find the color you are looking for, please feel free to contact us for custom make. 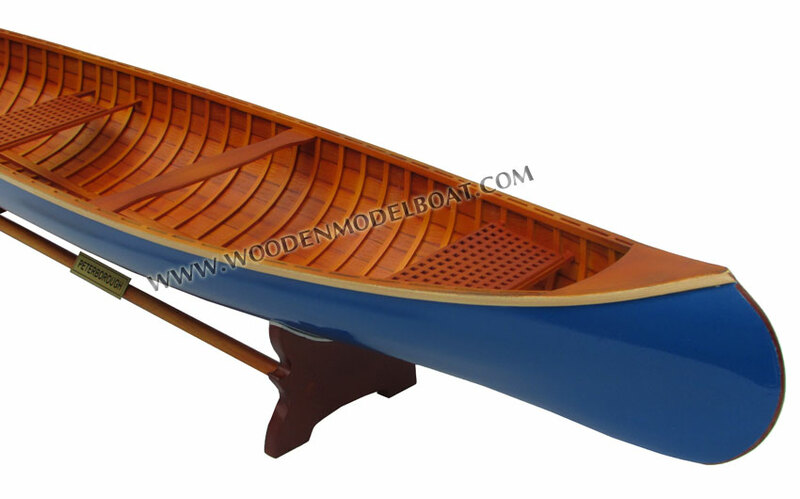 The Peterborough Canoe Company, founded in 1892 by William H. Hill and Elihu Edwards, manufactured wooden canoes in a factory located at the corner of King and Water Streets in the city of Peterborough, Ontario, Canada. The company was managed by James Z. Rogers. Canoes from the Peterborough Canoe Company were sold as far away as Europe. 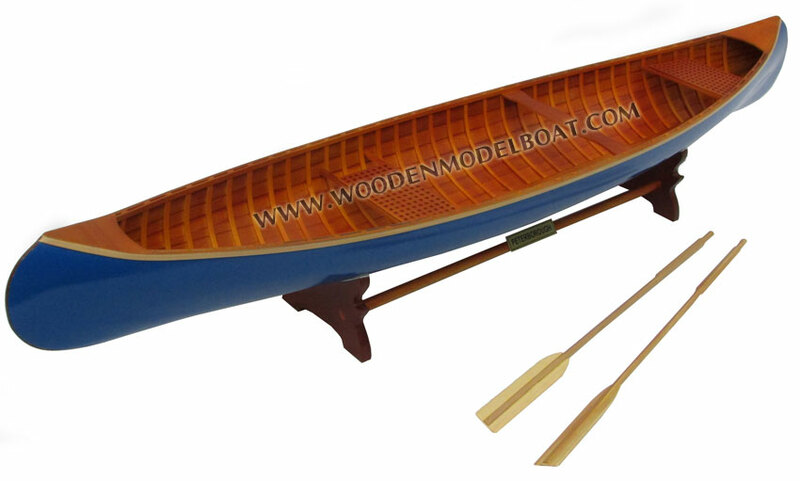 In 1915, the company bought one of its competitors, the William English Canoe Company. 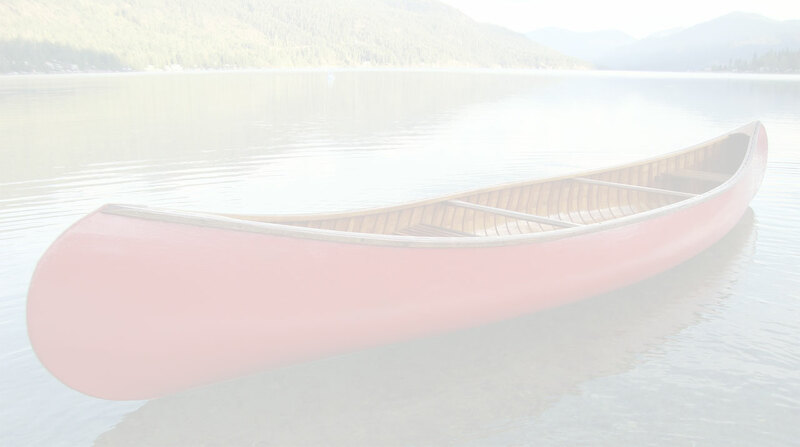 In 1923, it merged with a New Brunswick canoe maker, Chestnut Canoes, and became Canadian Watercraft Ltd. Another Peterborough firm, the Canadian Canoe Company, was bought in 1928. 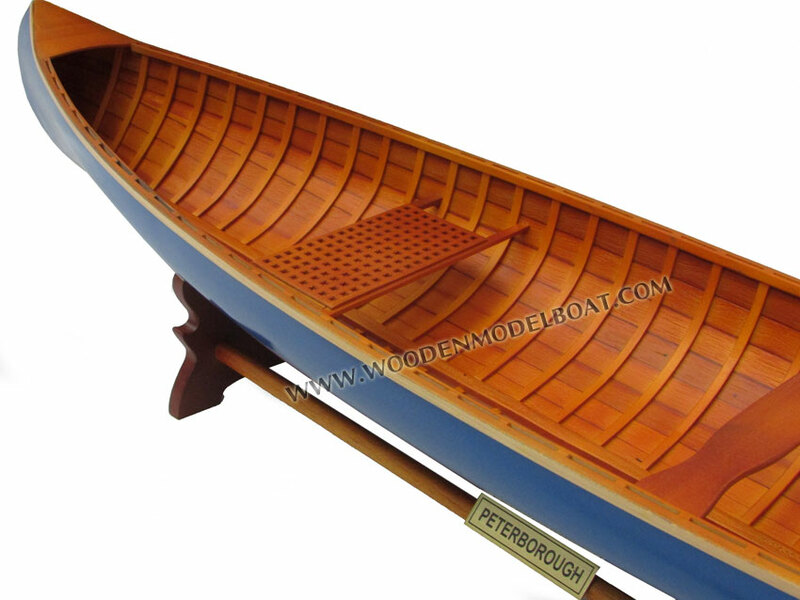 In 1948 Princess Elizabeth received a 16 foot cedar rib canoe made by this company as a wedding present from the City of Peterborough. 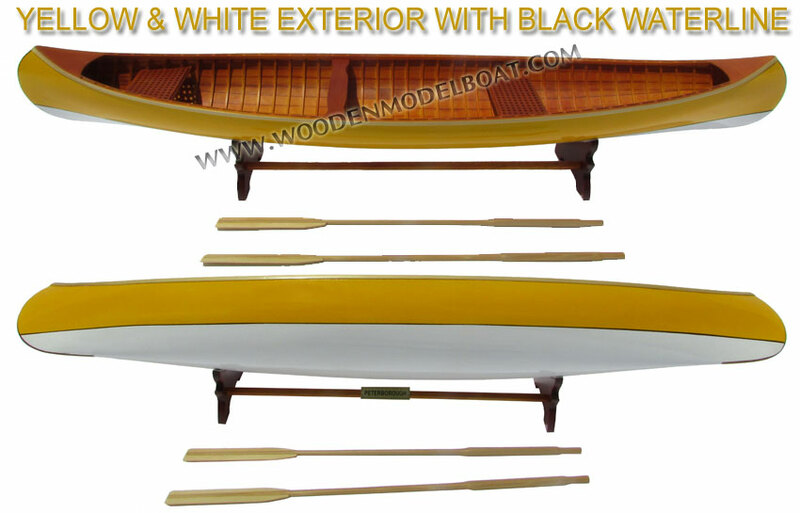 After World War II, the company became less profitable because of competition from makers of the new aluminum and fibreglass canoes, which were easier to mass-produce. 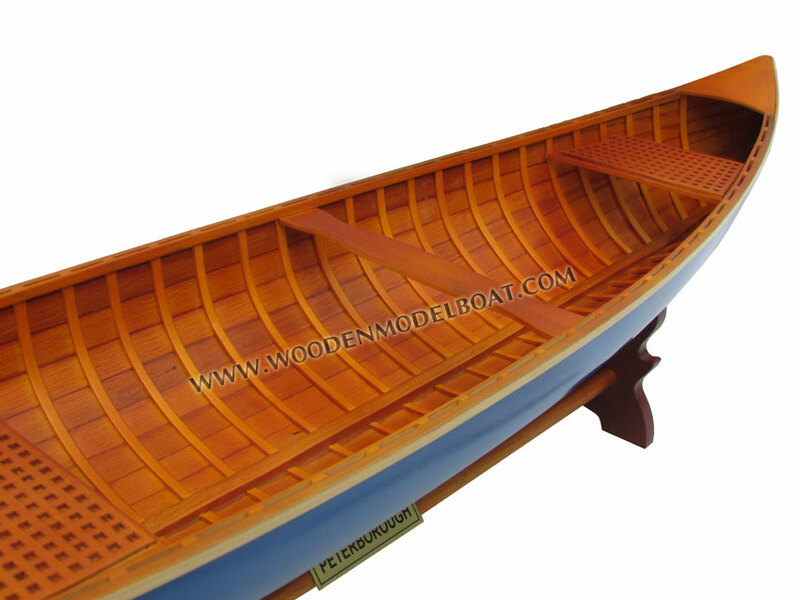 The company began to manufacture wooden powerboats and sailboats, as well as related products such as duck decoys, water skis and surf boards. In 1961 the company ceased production. Still, there are those who are willing to pay extra for a hand-crafted wooden canoe, and the forms and designs of the Peterborough canoes are still in use by canoe craftsmen today. 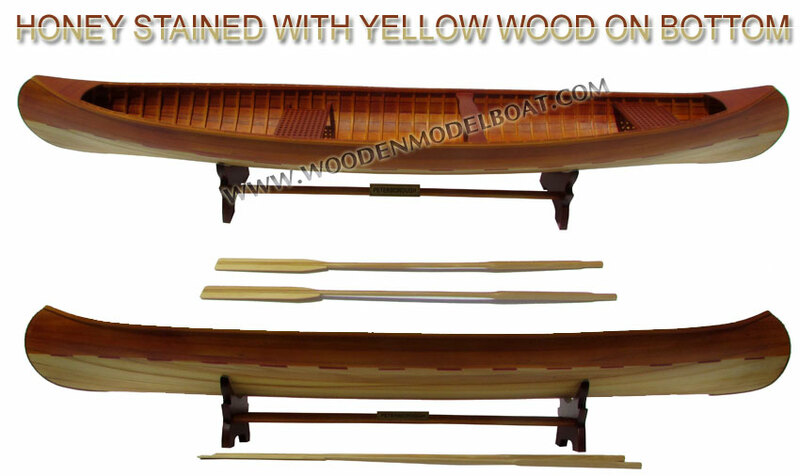 The original boats are now prized as antiques and restored by hobbyists.